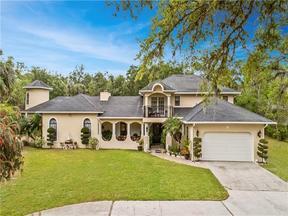 A one of a kind, custom oasis awaits you in the heart of Central Florida. Luxury meets Disney Dream Location! Once you have cleared the gated custom rod iron entry, you will be transportedto custom 5,000 + square foot palace that has all the appointments fit for a the royal in you! The craftsmanship and materials are the finest. Every custom detail has been professionally done with the highest quality. The state of the art security system allows you to see when your guest arrive to your massive luxurious drive way so that you can greet them. This magnificent property offers an additional separate living quarters which can be rented out or perfect for the In-Laws. The separate living quarters has its own meter and even its own address. When you buy this home you are buying two houses on the same property. The main palace has 6 Bedrooms, 5 Bathrooms as well as an attached efficiency which also can be for separate living. 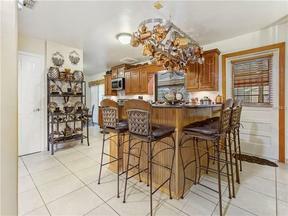 Every living space on this beautiful property has been permitted and done up to code. The summer kitchen is perfect for entertaining and enjoying those hot Florida days by your sparking pool. This is truly a masterpiece which has been designed with love and care. Now is your time to own a piece of paradise next to Disney and with great access to major access roads. Call today for your private viewing!